(Natural News) Imagine a swarm of genetically-engineered cyborg insects capable of flying around undetected while engaging in spying and other activities on behalf of government intelligence, the military or law enforcement agencies – or for that matter, a foreign power or terrorist organization. It may sound like science fiction, but the technology is real, and it’s very close to becoming fully functional. For years now, researchers have been attempting to build robotic insects capable of flying and moving like the real thing, but so far their efforts have fallen far short of what nature has produced over millions of years of evolution. An interim approach until robotics technology can catch up with Mother Nature has been to try to create cyborg drones: living insects outfitted with miniaturized electronic components that can be used to control their movements. 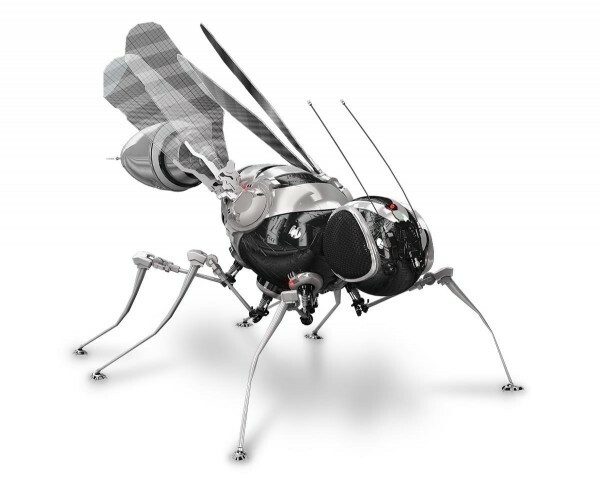 Such machine/insect hybrids have been created before, but there have been a number of technical challenges that until now have prevented scientists from developing anything more than clumsy prototypes hardly capable of performing the sophisticated tasks – such as surveillance missions – their creators have envisioned for them. Enter the DragonflEye, the result of a collaboration between R&D company Draper Labs and the Howard Hughes Medical Institute, aimed at taking a middle ground approach to solving the problem. The DragonflEye is a genetically-modified version of a dragonfly, equipped with a man-made guidance system that taps directly into the insect’s own built-in steering mechanism using pulses of light. The Howard Hughes Medical Institute was responsible for developing the genetic “delivery methods” that make the dragonfly steering neurons sensitive to light, while Draper Labs invented the miniaturized “backpack” used for navigation, along with the flexible optrode system used to control the neurons. When the DragonflEye becomes fully functional, according to its developers, it will be capable of performing a number of useful tasks, including “guided pollination, payload delivery, reconnaissance and even precision medicine and diagnostics.” It may also be used, of course, as part of the expansion of the government’s police state surveillance of citizens. Although its inventors seem to be mostly interested in peaceful applications of the technology, it’s a sure bet that the folks at DARPA and elsewhere are eyeing these developments with an interest in applying them to military and wartime situations. As genetic engineering begins to interface with micro-engineering and nanotechnology, a number of potentially scary possibilities begin to emerge. Sophisticated human cyborgs are likely to be developed in the very near future; there’s little to stop it from happening, and the temptation is no doubt great to do so. Between scientific curiosity and the interests of various well-financed entities, there’s a powerful impetus to find out just how far we can go in terms of using nature’s elements to create totally unnatural living things.